A week marked by the sounds and visuals of music, dance, visual arts, and theater, Arts Week is the annual week-long event that focuses on the artistic talents of our students. Each day this week, Waterford students performed and shared their arts with each other in gallery exhibitions and assemblies. On Monday, Javen Tanner, Dean of the Arts, kicked off Arts Week with a heart felt and hopeful Assembly talk about the power of the arts. "I realized that Beckett meant it when he said that Waiting for Godot was a play about hope. Whether it's suffering, difficulty, and grasping for meaning, or laughter, joy, and love, Vladimir and Estragon show up every day. Without fail. And look at you. All of you have experienced hard things. Some of you—even at this young age—have experienced very hard things. And some of you are experiencing those things now. And yet, here you are. You've shown up. There is nothing more profound, more beautiful, or more hopeful than that." Upper School students' lunch hour on Monday began with photography students hosting an opening for an exhibit featuring their work. 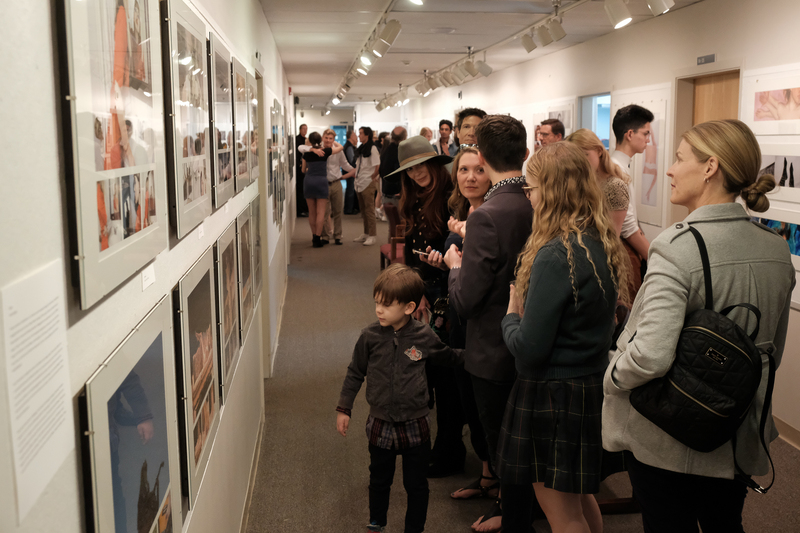 Faculty, parents, and students had the opportunity to visit in the Concert Hall Gallery and the Photolab to see photography captured by our students and speak with them about their work. Waterford's dancers took the stage on Tuesday to share spirited performances including a preview for The Wizard of Oz, the Waterford Dance Academy's performance that will open next weekend. On Wednesday, the assembly featured a theatrical performance by Upper School students of a scene from A Midsummer Night's Dream, the play from Fall term. The performance was both powerful and funny, and it had the students audience enrapt. Later in the day, the Concert Hall echoed with the bubbling sounds of our Lower School PreK-Class V students as they filled the seats for a the musical tale of Prokofiev's Peter and the Wolf. Class V student dancers played characters to the beautiful sounds of musicians playing the oboe, violin, bassoon, clarinet, kettle drums, flute, and French horn, with narration from Dr. Brandon Bennett, Associate Head of School. Art Classes IV and V painted beautiful forest panels for the stage design. Music again filled the Concert Hall on Thursday, as Waterford student voices and instruments came together. Thursday's assembly featured student music groups, The Troubadours, the Orchestra, the Jazz Band, as well as student solos. 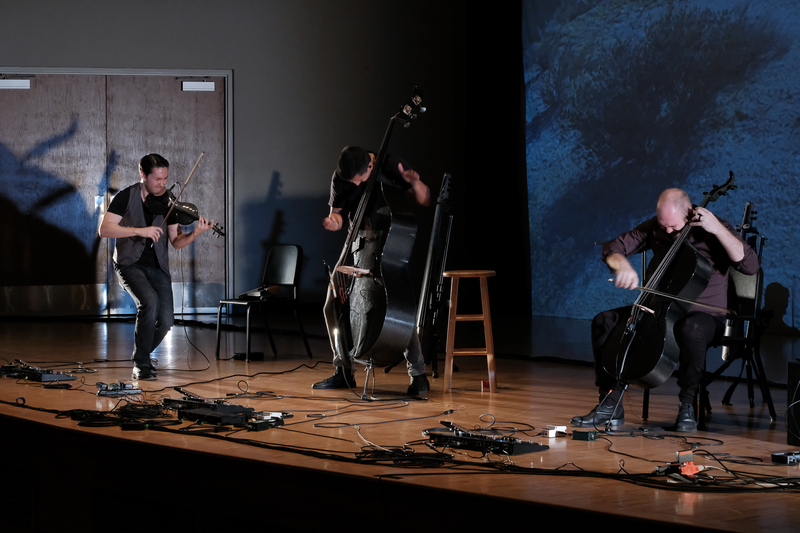 Arts Week concluded with a performance from guest artist, Simply Three, an electrifying trio of Glen McDaniel, Nick Villalobos, and Zack Clark. Simply Three, has been captivating audiences worldwide with high-octane performances since 2010, receiving praise for their ability to impress listeners with a multitude of genres that span music eras. By reshaping convention through genre hopping, the trio continues to seek the true essence of classical crossover with original works as well as innovative arrangements that showcase their technical virtuosity and heartfelt musicality. Arts Week was exciting and fun, and was filled with the talents and hard work of Waterford students and the guest artist, Simply Three. Also evident was the support Waterford students have for one another. Students in all Classes and all ages not only gathered, but watched, laughed, engaged, and cheered for their fellow students throughout the week. Congratulations on a beautiful and inspiring Arts Week.